Mission: Cure aims to demonstrate a new model for curing disease, leveraging outcome-based financing and impact investing. Our first mission is to find a cure for CHRONIC PANCREATITIS, a painful and disabling disease that affects 150,000 people, including 10,000 children. Our goal is to accelerate the development of promising new treatments and find a cure. But we can’t do it alone. Yes, you read that right! The popular Swedish DJ Avicii died at age 28 in late April after suffering from pancreatitis for several years. 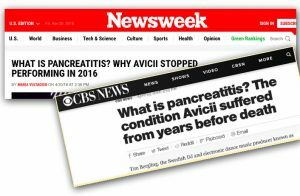 All of the major news outlets covered it and “pancreatitis” trended on social media. Unfortunately, some reports made inaccurate statements that pancreatitis is usually caused by alcohol. These generalizations are harmful to patients. Mission: Cure is committed to educating patients, the medical community and others about the latest science and ending the stigma and denial of care that can result from misinformation. Calling all people living with pancreatitis! Mission: Cure is launching a new awareness and education program. With support from the AbbVie Foundation and in partnership with the National Pancreas Foundation, we will hold a series of webinars where pancreatitis experts will share the latest research and answer patients’ and caregivers’ questions. Also, our blog is coming soon plus we regularly share news and updates on social media. Connect with us! Our ambitions are BIG but we need your help! We are developing a patient survey to understand patients’ needs, preferences and priorities. Our goal is to help the FDA and other government agencies, medical researchers and healthcare professionals focus on what is important to those affected by pancreatitis. Watch for the survey this Fall. To increase our impact, we urge everyone to participate. Please spread the word to all patients and family members! We have identified 36 approved drugs that scientists believe could treat chronic pancreatitis. These include some statins, rapamycin and drugs approved to treat cystic fibrosis. Since these drugs have already been approved for human use, clinical trials can happen quicker and much less expensively than new drugs. We are working with leading scientists and Cures Within Reach to design efficient clinical trials to test the most promising of these drugs. Stay tuned! The innovative financing model Mission: Cure is planning originated in the United Kingdom in 2010. Called a Social Impact Bond (or SIB, even though it was not really a bond), the first of these was used to fund programs to prevent crime and recidivism. In 2016, Cures Within Reach began exploring whether a SIB could fund repurposing of generic drugs to cure rare diseases in England, with funding from Big Lottery and support from the National Health Service. Cures Within Reach and Mission: Cure are now working with a pro bono social innovation team at Medidata to apply this financing to curing pancreatitis in the UK. The Mission: Cure team is growing! 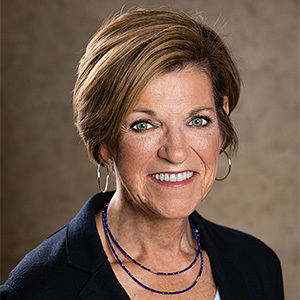 Linda Martin joins Mission: Cure as co-director. Before joining Mission: Cure, I spent over 30 years as a serial entrepreneur, launching and growing companies in the fast-paced mobile telecom industry. It was a challenging and rewarding career and I relish the many friendships that I made. However, my life instantly changed when my daughter was diagnosed with Chronic Pancreatitis. After months of research, I learned that little is understood about this disease and existing treatments are ineffective. I was frustrated but committed to changing the status quo and finding effective treatments for my daughter and everyone living with pancreatitis. As co-director of Mission: Cure and the mother of a CP patient, I’m obsessed with the urgency to develop improved therapies and find a cure. There is much to do to accelerate research and drug discovery for those living with CP. Together we can raise awareness, drive new discoveries and impact lives. I hope you’ll join us! Mission: Cure is grateful for the support of the National Pancreas Foundation, Cures Within Reach, the AbbVie Foundation and, especially, the many individuals who have donated to our cause. Every contribution, regardless of size, makes a difference and is an investment in education, research, and advocacy to find a cure for chronic pancreatitis. Mission: Cure depends upon your support to continue this important work. On April 18th, Mission:Cure and NPF hosted the first webinar in our new pancreatitis webinar series. International pediatric pancreatitis expert Dr. Aliye Uc of the University of Iowa presented the latest research on pancreatitis in children. Please click on this link to listen to the webinar. We hope you’ll join us for future pancreatitis webinars. Please join our mailing list to receive updates, news and events from Mission:Cure. Does your child have pancreatitis? Pediatric Pancreatitis: The latest on causes, treatments, outcomes & research. Q & A too! 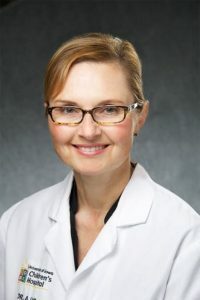 Dr. Aliye Uc, MD, Professor of Pediatric Gastroenterology, Professor of Radiation Oncology, University of Iowa and leader of the INSPPIRE Pediatric Pancreatitis Research Project will share what has been learned so far, and will answer questions from patients and family members. Composed of 22 sites throughout the world, the INSPPIRE group was formed to research ways to better diagnose, evaluate and treat Pediatric Pancreatitis. Mission: Cure is excited to collaborate with Mark Light, who went on a cross-country ride last fall to raise awareness about pancreatitis. Watch his video here to learn more about his adventure inspired by young pancreatitis patient Emme. Megan Golden presented Mission: Cure’s strategy on the Brookings “Impact Bonds for Health” Webinar on December 12th. View the presentation below. For more information please follow this link to the Brookings Website. New York, New York, Tuesday, November 7, 2017—The new nonprofit Mission: Cure will convene the world’s leading pancreatic experts at the American Pancreatic Association meeting in San Diego on November 10th to devise a 10-year plan to cure chronic pancreatitis, a painful and costly pancreatic disease, using an innovative financing model that could be applied to cure other diseases. Building on the global movement toward outcome-based financing, Mission: Cure will partner with healthcare payers and philanthropists to provide financial incentives for improving patient outcomes. Mission: Cure will work with researchers, clinicians, patients, providers, industry, and entrepreneurs to achieve those outcomes. The strategies will include using advanced genetic testing and data aggregation tools (precision medicine), working with scientists and the FDA to efficiently move promising therapies into clinical trials, and repurposing drugs approved for other diseases. “Repurposing already-approved drugs is a faster and less expensive way to get new treatments to patients. Cures Within Reach has facilitated numerous successful repurposing efforts and will help Mission: Cure deploy this strategy as its fiscal sponsor,” said Cures Within Reach CEO Dr. Bruce Bloom. Mission: Cure will work with the growing group of impact investors who want their investments to produce social benefits in addition to financial return to create a new type of health investment where investors can make a quantifiable impact on people’s health while potentially receiving a return from patient outcome payments and the market. Mission: Cure is a nonprofit founded in 2017 by Megan Golden, an expert in innovative financing for social and health programs, and her brother Eric Golden, an entrepreneur, investment banker, and pancreatitis patient. Mission: Cure is partnering with the not-for-profit Cures Within Reach, which is serving as its fiscal sponsor, and the National Pancreas Foundation, to pioneer a new approach to curing disease using financing based on patient outcomes and partnerships with impact investors.